Edinburgh, Leith, 28 The Shore. View of the model ship used as and insignia over doorway. 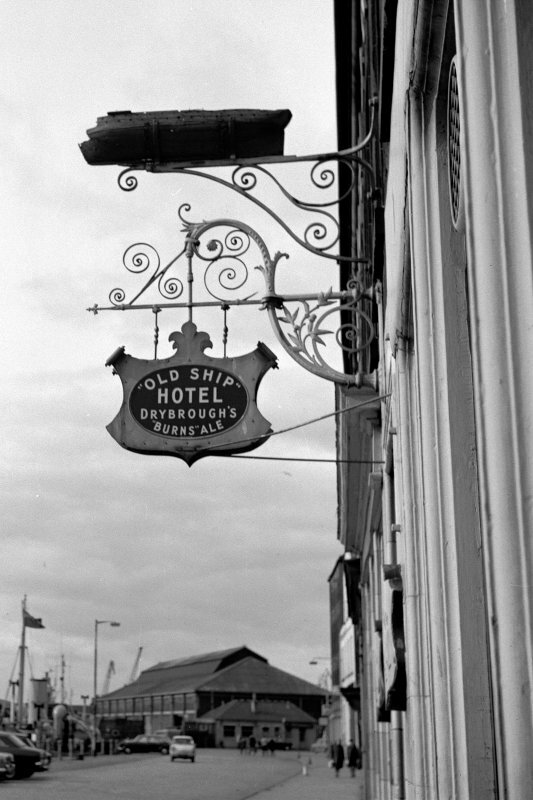 Insc: 'Old Ship Hotel, Drybrough's Burns Ale'. Edinburgh, Leith, 28 The Shore. View of commemorative inscription on lip of quay opposite No. 28. 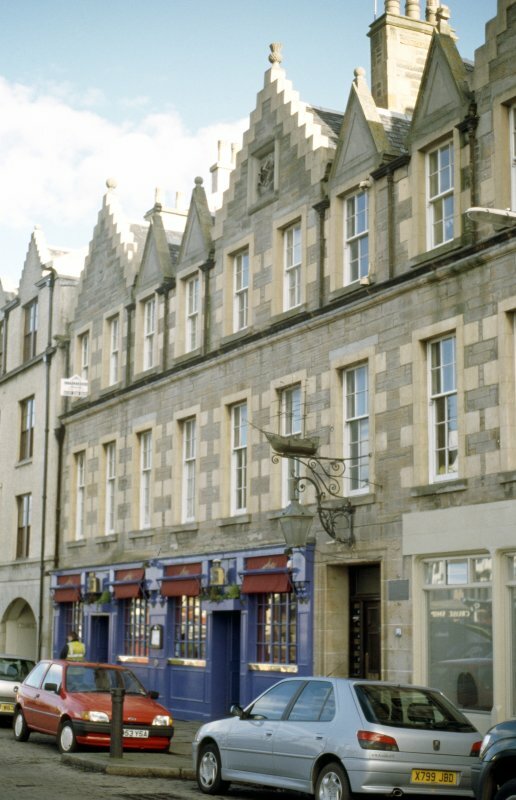 Visible on photo below 5th window from left on first floor of building behind. View of new (1984) ship sign above entrance. 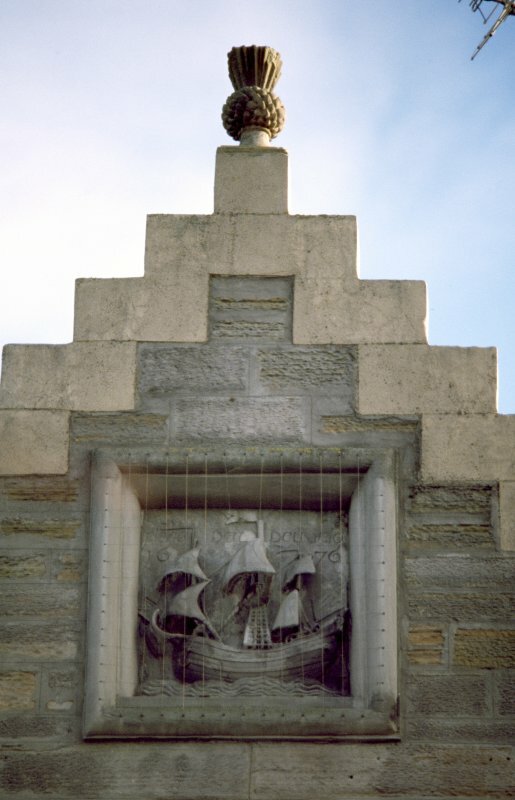 View of ship relief in central gable of 28 The Shore. View of facade of 28 The Shore, showing ship sign above entrance and ship relief in central gable. Model of a sailing vessel, three masted, flying the Scottish flag astern and red and blue pennants at the mast head, supported by a curlicued bracket with a lantern. 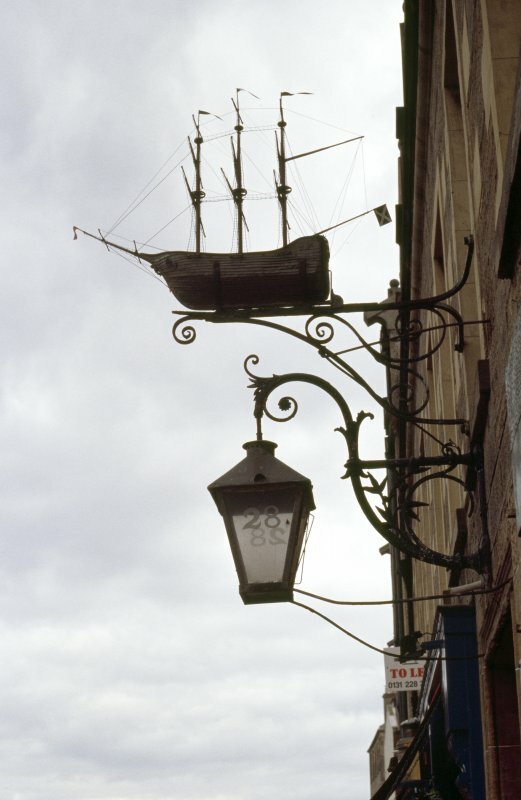 The ship is based on the original sign for the Ship Inn seen in an old photograph, and is hung on the original bracket. The original ship sign disappeared about 1960. 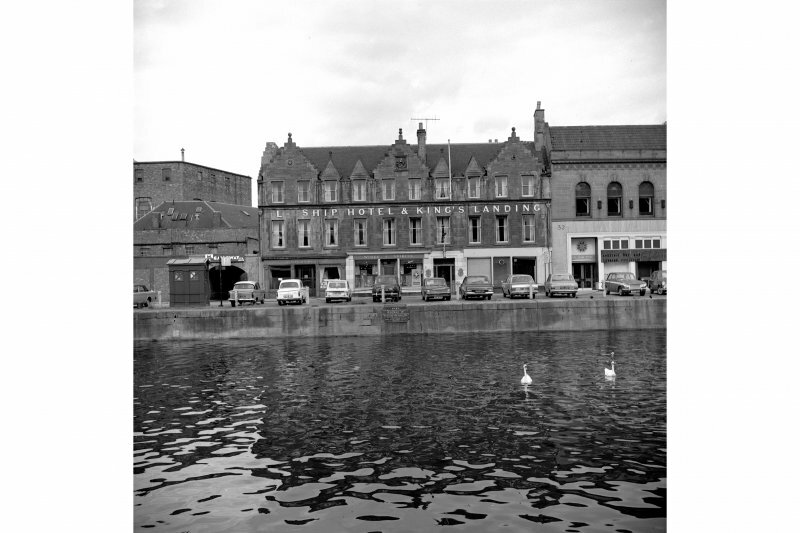 When the building was being restored in 1984, Stephen Dickson of the Planning Department provided an old photograph to have a replacement made for the empty bracket. Very deep relief of a sailing ship (galleon?) with billowing sails, set in a square architectural frame.